Tires 2 U is pleased to offer Goodyear tires. Founded in 1898 in Akron, Ohio, Goodyear Tire is America’s best-known tire manufacturer. The company is named after its founder, Charles Goodyear, who invented vulcanizing rubber (a process that made rubber more elastic and durable). 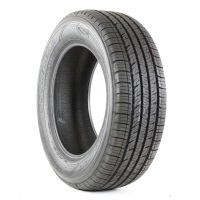 They develop state-of-the-art tires and are constantly raising the bar for their competitors. They are the exclusive tire supplier for NASCAR’s top three series since 1997. Goodyear offers a large product line at competitive prices, including applications for passenger tires, crossovers, sport utility vehicles, and light trucks, as well as buses and tractor trailers.